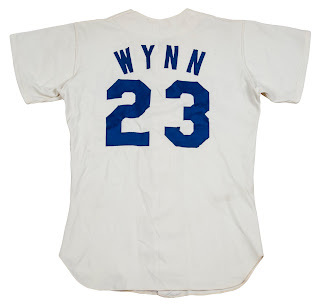 The Toy Cannon, Jimmy Wynn, once wore this 1975 game-used Dodger jersey. He had joined the team in 1974 and helped the club towards a National League pennant. 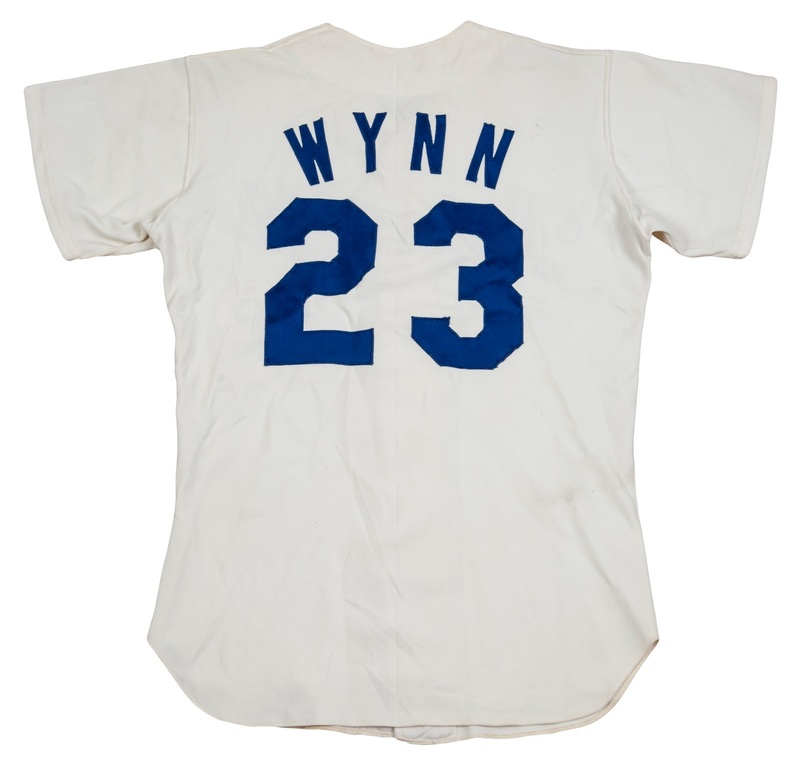 Wynn slashed .271/.387/.497/.884 and was named the Sporting News Comeback Player of the Year. In '75 he was hampered by a shoulder injury. After that season he was traded to Atlanta for Dusty Baker. 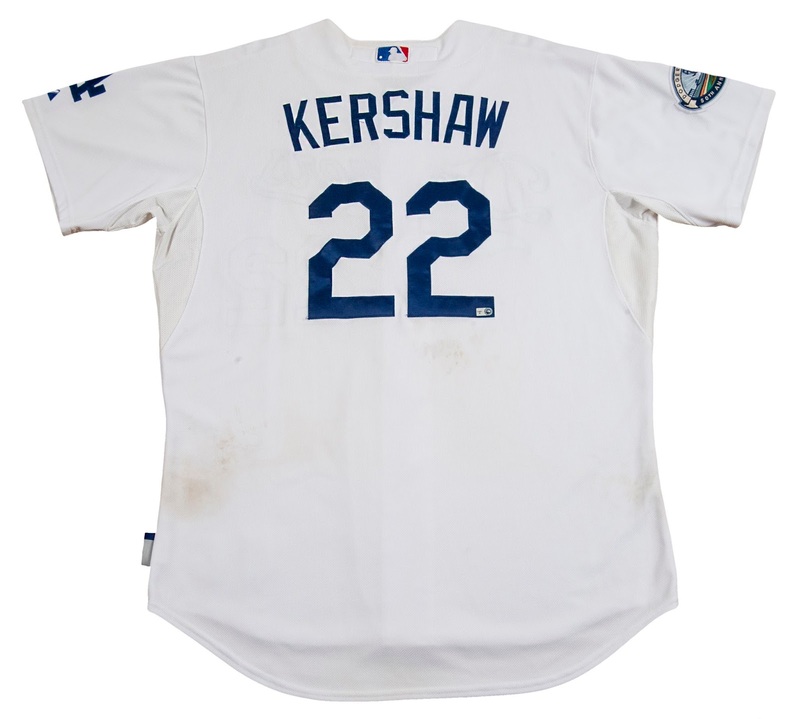 Below is a Clayton Kershaw game jersey from the year he should have won a Cy Young - 2012. 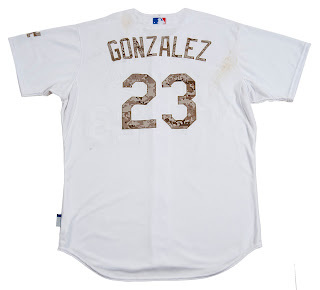 This specific jersey was worn on October 3, 2012 - his last regular season game of the season. 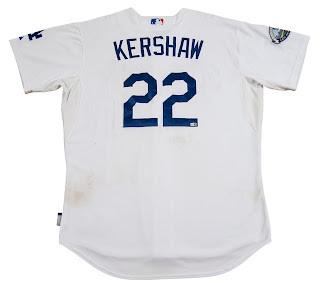 Kershaw went eight innings, gave up one run, three hits and earned his 14th victory of the year. 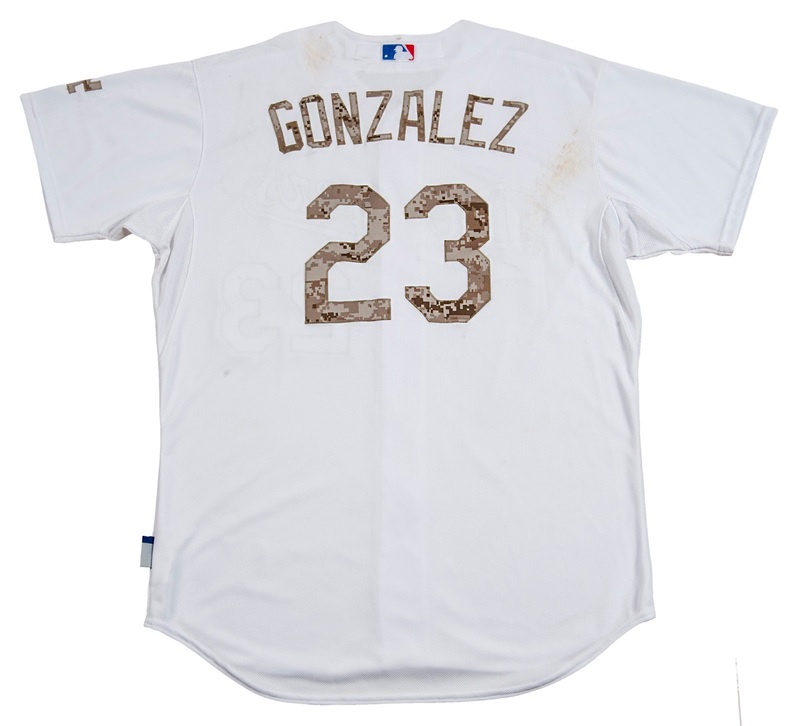 This next shirt is a camo jersey worn on Memorial Day by Adrian Gonzalez in 2013. Adrian went 4 for 4 that afternoon with two doubles, four runs and an RBI. You don't see too many of these. Below is Gary Sheffield's 1998 Dodgers jacket. 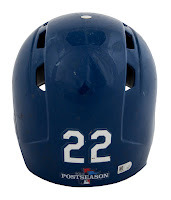 Check out this game bat from Willie Davis below. Or how about a couple of game-used caps from Matt Kemp and Yasiel Puig. Best yet, below is Kershaw's NLCS batting helmet from 2013. It is from Game 6. 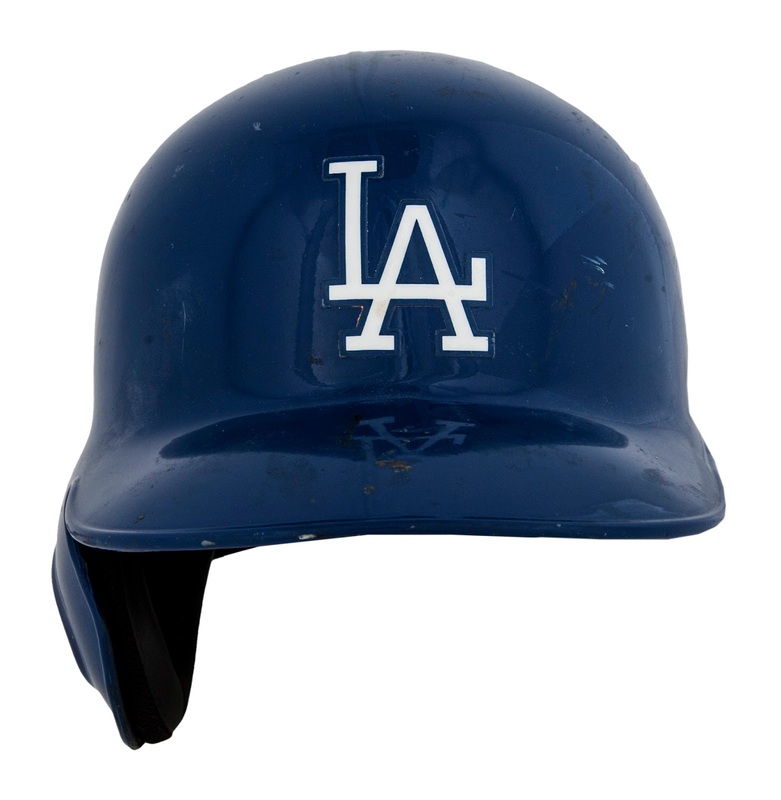 Unfortunately, the day this helmet was worn is not a bright spot for the Dodgers or Kershaw. This was the afternoon Clayton got shelled for seven earned runs against the Cardinals.